Please take this editor's note with a heaping helping of seriousness: We're not encouraging drunkenness or drunk shopping...unless that's your thing, in which case, do it safely. 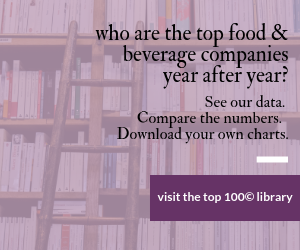 The study, which surveyed more than 2,000 alcohol-consuming readers in mid-March 2019 found that 79% of its respondents have made at least one drunken purchase in their lifetime. While that statistic may not sound shocking in something called a Drunk Shopping Survey, what these inebriated indulgers are buying is where you might want to tune in. The study was conducted by news site The Hustle March 11-18, 2019. You can visit the site to read their methodologies and the full complement of the results which cover everything from the professions and generations of said drunk shoppers to the type of alcohol they imbibe with and the regions in which they drink—and spend—it. Where this all comes to a full Food Processing peak is that 36% of purchases are on food, putting it in the top 5 purchases of drunken selection. (For reference, clothing tops the chart at 66% and movies and games both at 47%). Hustle's report goes on to talk about how e-commerce platforms can—and are—taking advantage of these intoxicated shoppers.